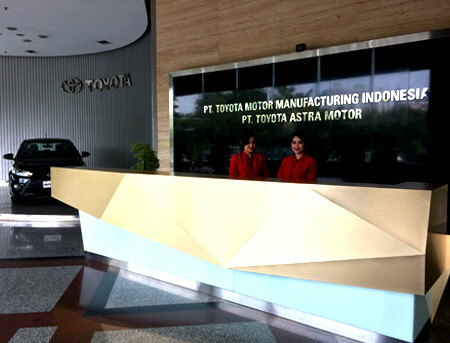 Toyota Indonesia is represented by two subsidiary companies, PT Toyota Motor Manufacturing Indonesia (TMMIN) and PT Toyota Astra Motor (TAM). 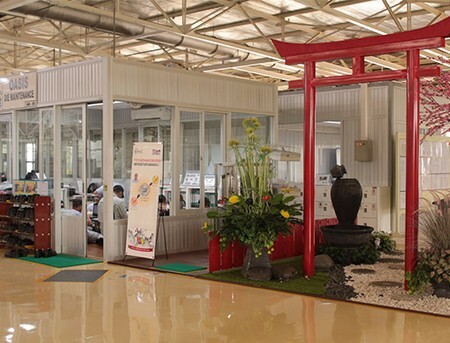 As the subsidiaries of Toyota Motor Corporation, TMMIN acts as a manufacturer and exporter of Toyota products and vehicle components, while TAM acts as the brand holder agent, importer, and distributor of Toyota products. 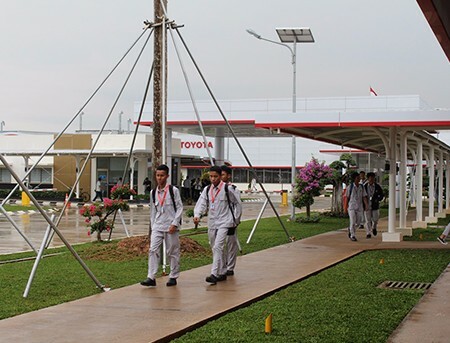 For more than four decades, TMMIN has an important role in the development of automotive industry in Indonesia as well as providing employment opportunities in its supporting industry. 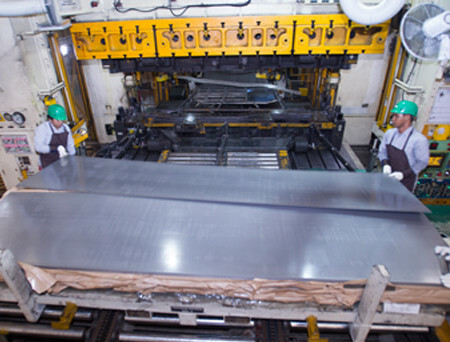 Currently, TMMIN has five production plants which has been operating in Sunter & Karawang. 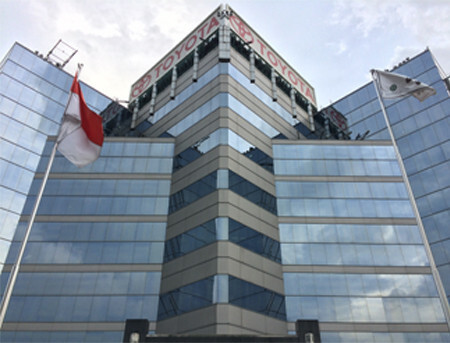 Toyota Motor Manufacturing Indonesia (TMMIN) has successfully become a world class manufacturing company which is based in Indonesia. 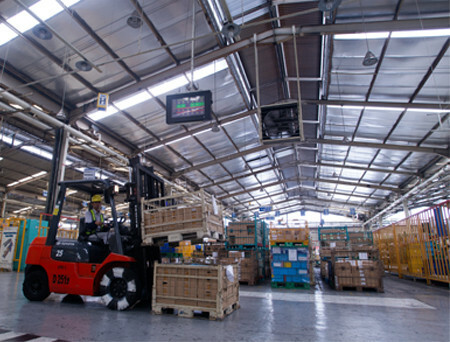 TMMIN maintains four world-class plants located in North Jakarta and Karawang. Sunter I Plant is the first plant owned by TMMIN which is located in Sunter. Sunter I Plant was established in 1973 to produce TR Engine (vehicle engine) and Engine Engine. 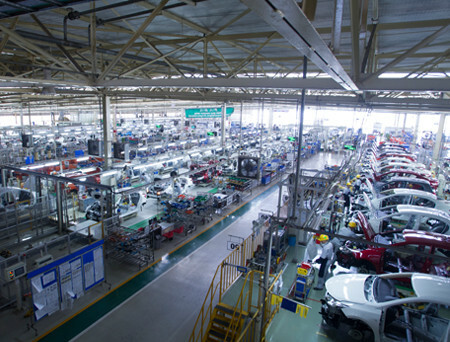 It has production capacity of 195,000 units per year. Sunter II Plant was established in 1977 and located in Jl. Gaya Motor III No. 3, Sunter II, North Jakarta. The production line of Sunter II Plant is Press Parts and Casting Parts. 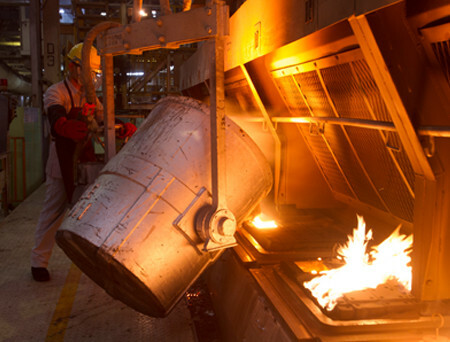 The plant has production capacity of 96,000 units of Press Parts per year and 10,000 tons of Casting Parts per year. 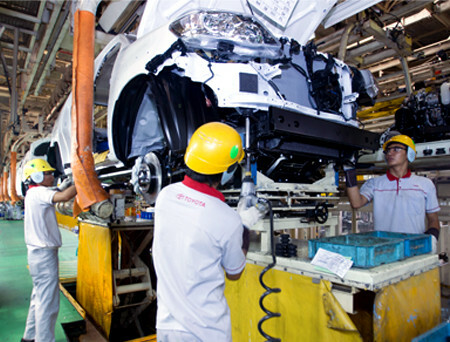 Karawang Plant II was established in 2013 to produce compact vehicles such as Etios Valco, Yaris, Vios, and Sienta. 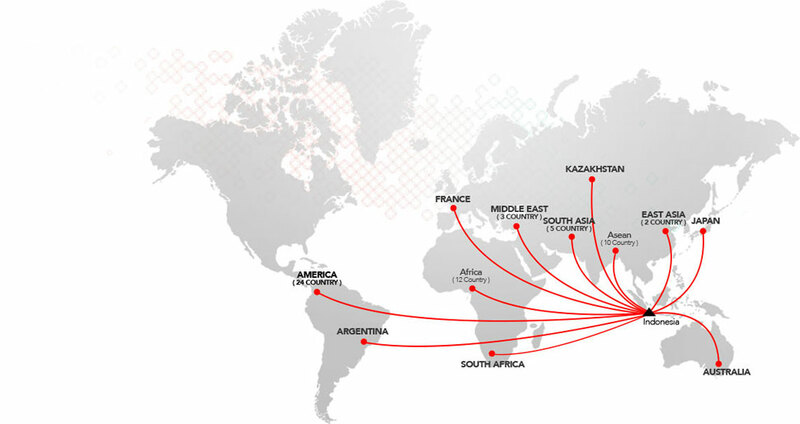 It has an annual production capacity of 120,000 units. Karawang Plant I was established in 1998. 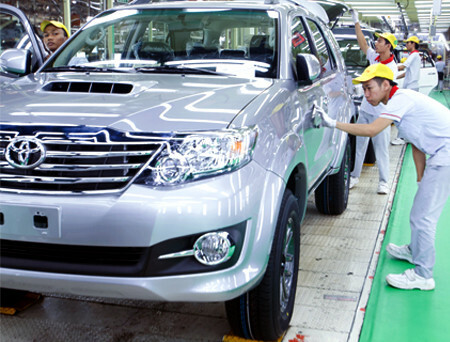 Currently it produces IMV (Innovative Multi-purpose Vehicle) series vehicles, Kijang Innova and Fortuner with an annual production capacity of 130,000 units. Engine Plant #3 Karawang was established in 2016 to produce Aluminum gasoline engine and ethanol engine type R-NR with an annual production capacity of 216.000 units. In producing world class vehicles, TMMIN is supported by local supply chain that has been built for more than four decades. 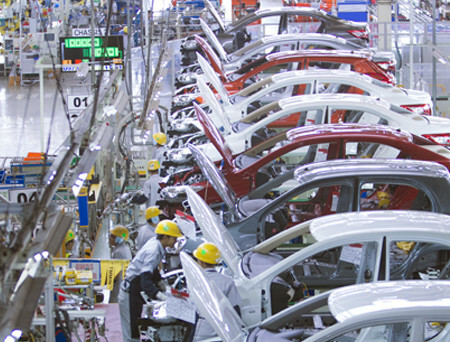 The local supply chain also becomes the foundation of a strong Indonesia automotive industry. Human resources are the main focus of TMMIN to make innovation and create best-quality products. The motto "We Make People Before We Make Product" becomes TMMIN’s main focus in order to produce a superior human resources and contribute to the development of automotive industry in Indonesia. Growing together with the nation for more than four decades, time and hard work have guided us through various obstacles as well as success stories that are too precious to be forgotten. We believe with consistency and determination to constantly improve ourselves, we will always strive to be a reflection of the spirit, pride, and smile of the Indonesian community. The Toyota Berbagi spirit is a reflection of our determination, hard work, and future commitment to build Indonesia together.